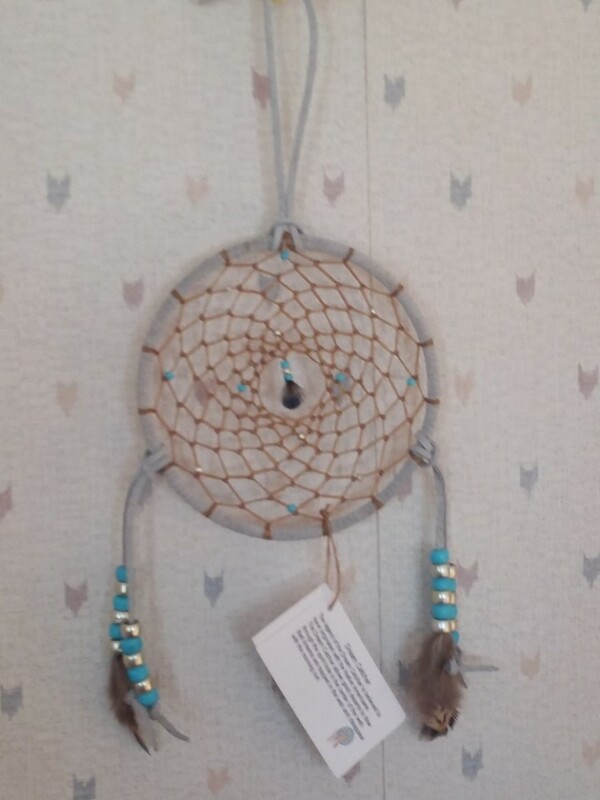 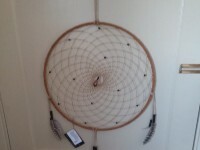 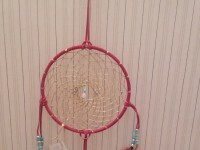 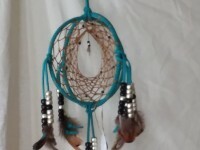 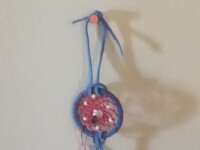 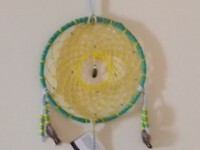 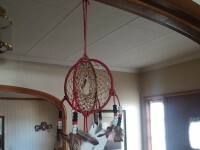 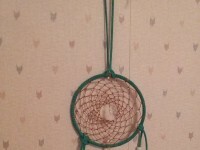 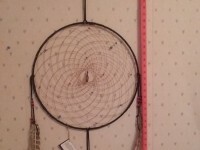 5 inch white dream catcher with glass crow and sead beads and pheasant feathers. 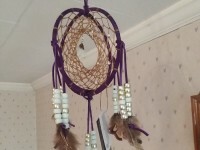 All items are hand made and are one of a kind. 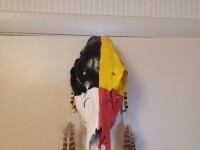 so no return or exchange policy.